Two weeks ago, we had to deal with an issue stemming from my brother's death this past January. If you have followed or read my posts since his loss, you know depression stole him from us. Some days are great; some days I am so mad. Some days, I just miss him being on this Earth. Many factors contributed to his death, and we know for a fact he was not in control of his thoughts or feelings. This is what depression does - it steals. It lies. It's all consuming. In the years that I have lost people very close to me - and all sudden and tragic - my anxiety and even that damn depression sneak in and take hold. Now that I am a mom, I knew I had to get help to loosen the grip of these feelings. Asking for help is NOT easy; it can be downright scary and make you feel as though you are alone. It makes you feel as though you have failed. Writing this piece of my life is never easy, but when a certain issue came up two weeks ago, I seriously had enough. When we are physically sick, we see a doctor. 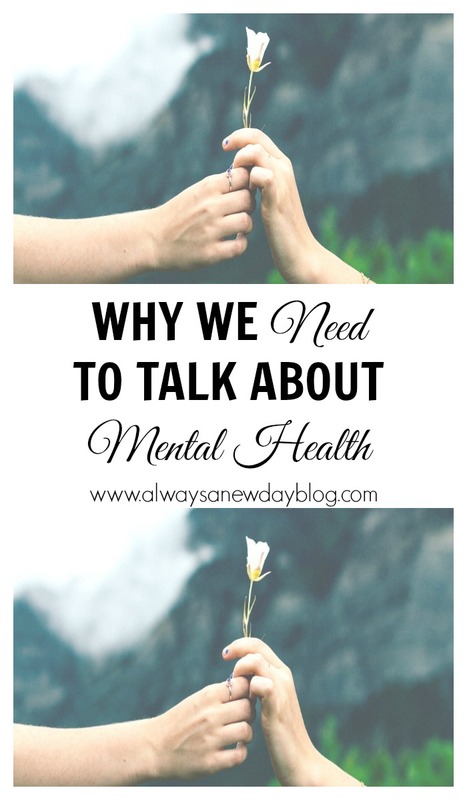 When our hearts hurt or our brain will not turn off sad thoughts, why do we not ask for help? I have found so many beautiful mamas in this blogging world - not to mention close friends - who have in some form experienced anxiety and/or depression. Maybe it has been an issue all their lives or maybe it came full speed ahead when they became moms. No matter what, I have a passion that has exponentially increased as of late to speak about mental health. Could talking more have saved my brother? Maybe. If he had found a mental health care professional that actually cared for the patients who saw him, would he still be a phone call away? Perhaps. 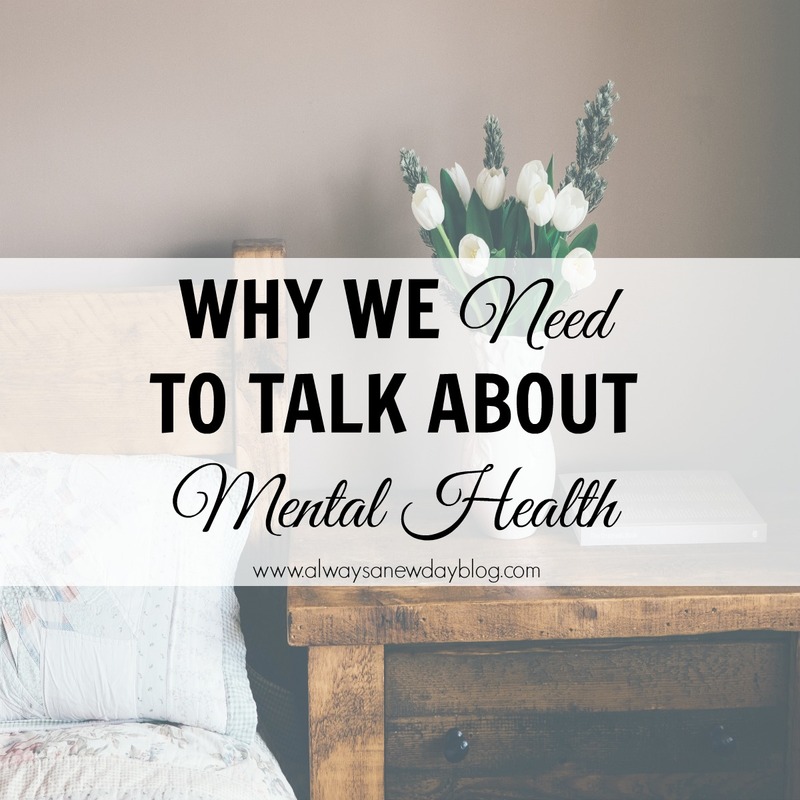 We HAVE to start talking more about mental health and remove the stigma and fear that comes with all of it. We HAVE to do our research on what options we have. We HAVE to improve the options. I don't want to be quiet about it all anymore. With the help of some beautiful, knowledgeable professionals, I am trying to start another conversation. I have some posts/ideas in mind that I hope will help just one person feel more at ease and feel more understood. If you or anyone you know suffers with severe worry/anxiety/depression, I hope you will direct them here or just simply be there for them. With these posts, I pray connections are made and the conversation continues louder and louder. If there is anything you would like to see, please feel free to email me or comment. I am not a mental health professional (though it's a dream of mine to be one someday), but I have some great collaborators who are and will guide me. One thing I am is a mom who worries. I am a sister who lost a brother. I am in the trenches most days, and I have been fighting to be better every single day. Thank you for letting me share. I believe every conversation counts, and I am ready to get one started. and Dr. Jody Lorimer for your support and ideas. Just found this post. I'm sorry for the loss of your brother. Thank you for going out of your way to do something to reduce the stigma attached with depression/anxiety. I do this every chance I get on my blog. I have treatment resistant depression. Have ever since I was a teenager. I've been on every medication, I've had ECT done... I'm on a combo of meds now that allows me to function fairly well in society and I'm thankful for that. I'm a mom and a labor and delivery nurse and I am NORMAL. It is my hope that depression becomes less stigmatized in the years coming. But it's not going to happen unless people like you and me keep talking about it, so thank you.